Human interaction, interplay and movement are at the core of this work, derived from reality, performance and the infinite nuisances between those two states. Often the face we show to the outside world is a mask but the language of the body is very difficult thing to regulate and our true nature is often revealed. 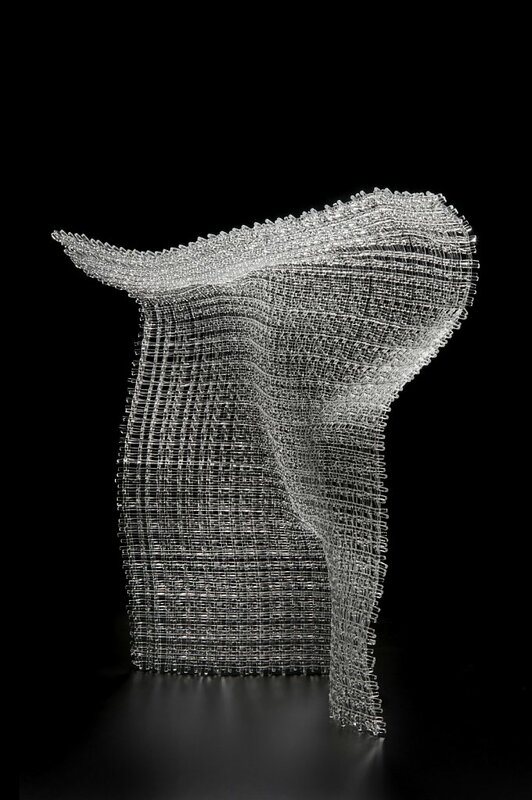 For this work I used thick, clear glass canes, pushing the material beyond its accepted technical parameters in order to explore the relationship between fabric and the human form and how it reflects our moods and emotional situation.